We know how to trace people; we’ve acquired our know-how over many years of international tracing service work. Our aim is to find people, and we believe that those we cannot find, cannot be found by other organizations either! Reunions will really bring you together. 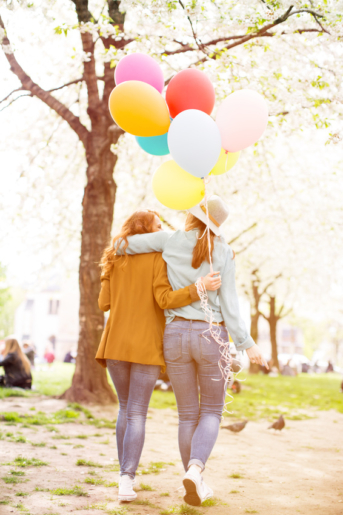 Our know-how and our empathy will help you sensitively restore a broken friendship or relationship or simply reunite you with your school friends. The German service Wiedersehen macht Freude (internationally known as Reunions) was the first tracing service to be established in Germany. We have traced mothers, fathers, siblings, people separated by the division of East and West Germany, first loves, unforgettable friends and many other people close to our clients’ heart. The traced person is as important to us as our client. The empathetic contact initiation is an important part of the service. Requests are usually submitted in writing. You will receive a detailed questionnaire in which you enter all the data you know about the person you wish to find. Once completed, you send us your questionnaire by mail or email. After the payment of the initial fee has been settled, both your data and the known data of the person we trace will be saved in our data bank, we then scan and file the necessary documents as a PDF and create your dossier. Each search is clearly documented. We work with an IT application exclusively developed for this search job. This application allow us to keep track of each action we carry out, to store and organize all the information we find step by step. One step of the tracing process could be for example a request for a search in a national archive, another step could be a search of telephone directories for people who could be related to the person we are tracing. Each step has a resubmission date. The resubmission date will be set for each step according to specific requirement. The tool shows us automatically which search and what steps have been carried out on what date. In such a way, every search will be processed with the highest possible priority.